Old School Fimo beaded shark tooth necklace. Assorted Fimo bead designs. 18" leather with extension chain. 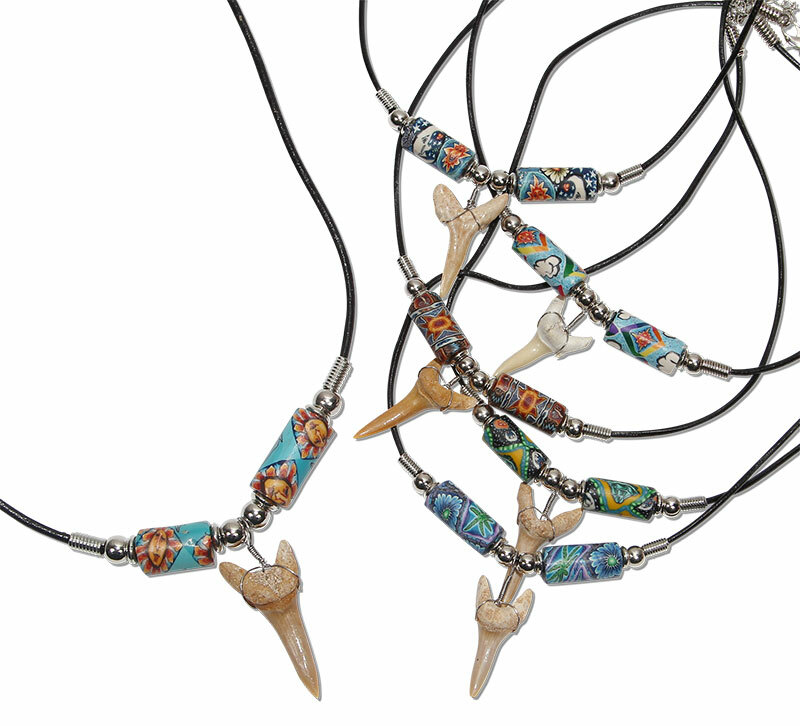 Shark teeth are from the Atlas mountains of Morocco, necklaces made in New Hampshire!